Did Travis Scott Dumped His Pregnant Girlfriend Kylie Jenner? 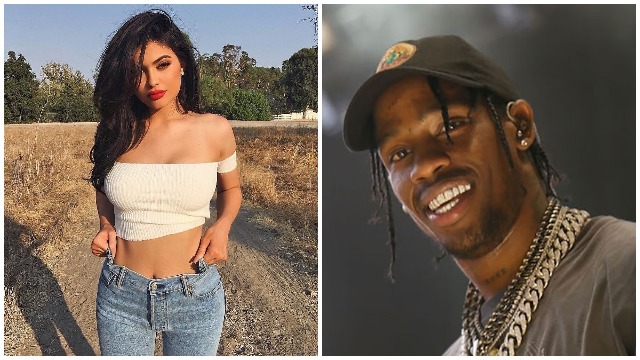 The rumour mill has it that rapper Travis Scott, 25 have dumped his 20-year old cosmetic queen Kylie Jenner after they had a ‘massive fight’ over him partying with strippers. Just after Khloe Kardashian’s pregnancy is finally out, people are poking their nose and asking Kylie Jenner to reveal her pregnancy. Though Kylie Jenner haven’t really confirmed if she is pregnant or not, rumors has it that she is pregnant and her due date is falling somewhere next year Feb first week. There are reported news that Kylie Jenner is pregnant with Travis Scott’s baby and the duo are had a fight over the rapper’s night party with the strippers. Also Read: Confirmed! Sources Reveal Kylie Jenner Is Two Months Pregnant, It’s A Girl! This entire episode have upset Kim Kardashian, half sister of Kylie Jenner. Kim is supposedly furious over Travis Scott for not being there for her pregnant sister Kylie Jenner. She is upset for the fact that Travis is ditching her pregnant sister. Also Read: Taylor Swift’s Fans Got Furious Over Kim Kardashian For Posting Naked Pic Of Taylor, Sent Her Rat Emojis! It seems Kim Kardashian also contacted Travis for her little sister Kylie Jenner and bashed him saying that his behaviour is not justifiable. So with the going it may happen that Kylie Jenner will be a single mom.